It was shown at 104th Exhibition of the Royal Academy of Arts, London, 1872 (cat. no. 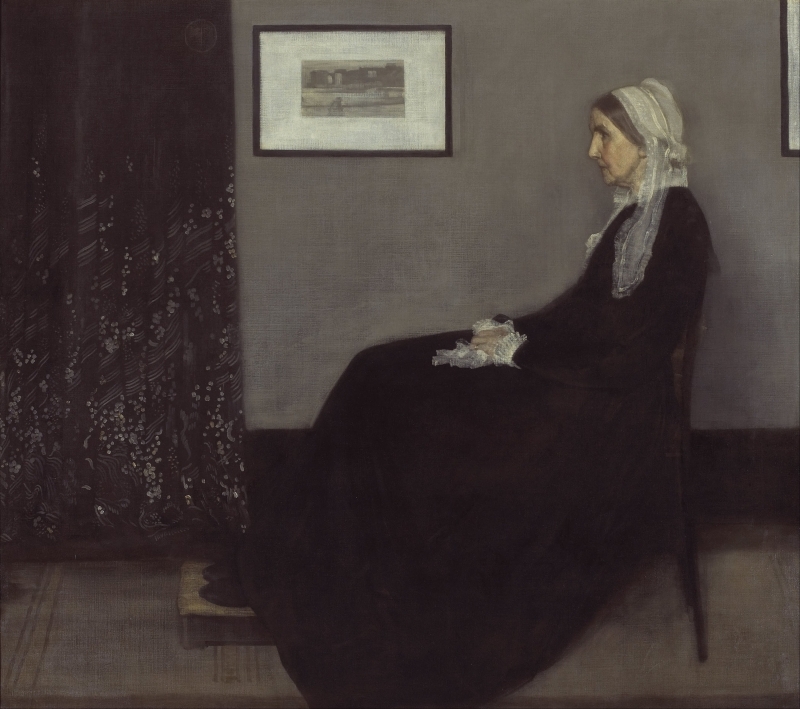 941) as 'Arrangement in grey and black: portrait of the painter's mother'. 1: YMSM 1980 [more] (cat. no. 101). 2: A. M. Whistler to Kate Palmer, 3-4 November 1871, GUW #10071. The MP was William Graham (1817-1885). 3: A. M. Whistler to Gamble, 29 November 1871, GUW #06547. 4: D. G. Rossetti to Whistler, [October/November 1871], GUW #09415. 5: Whistler to W. Greaves, [October/November 1871]. GUW #11469. 6: A. M. Whistler to J. H. Gamble, 10-20 April 1872, GUW #06549. 7: Whistler to C. W. Deschamps, [11/13 December 1872], [20 December 1872], and [December 1872], GUW #07906, #11438, and #07905; H. Gee to C. W. Deschamps, 3 September 1873, GUW #11974. A photograph sent to S. P. Avery, signed by Whistler and dated '72', and signed by the sitter on 22 June 1873, is in New York Public Library.